Before we get into the critical invisible analysis of foreclosure we need to understand clearly what it means by Foreclosure.This articles brings out the trend and analysis of the climbing high Foreclosure rates andits effect on the US economy as foresight. 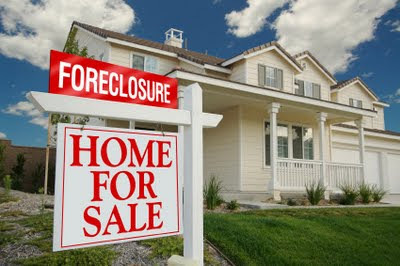 Foreclosure is to shut out, to bar, to extinguish a mortgagor's right of redeeming a mortgaged estate. It is a termination of all rights of the homeowner covered by a mortgage. Foreclosure is a process in which the estate becomes the absolute property of the lending institution. The Foreclosure process begins when the homeowner fails to make payments of the money due on the mortgage at the appointed time. Foreclosure is applied to any method of enforcing payment of the debt secured by a mortgage, by taking and selling the estate. Foreclosure proceedings typically start with a formal demand for payment which is usually a letter issued from the lender. This letter of notice is referred to as a Notice of Default (NOD). Depending on your state, the lender will issue this notice when the homeowner has been 3 months delinquent on the mortgage payments. Keep in mind that the notice is a threat to sell your property, terminate all your rights in that property and evict you from the premises. After the crisis of September 2008 we find the cases of foreclosure across US and Europe increasing like bacteria. In September we find that foreclosure filings were reported on 344,000 properties, up 29% from a year earlier and down 4% from August 2009. U.S. properties subject to foreclosure filings totaled nearly 938,000 in the third quarter, up 23% from the year-earlier quarter and up 5% from the second quarter. One in every 136 U.S. housing units had a foreclosure filing during the quarter, according to Realty Trac, which began tracking foreclosures in the first quarter of 2005. The two reports released yesterday suggest the US economy may have closed out the third quarter with surprisingly strong growth but still faces huge hurdles since consumer spending is unlikely to recover quickly from the worst recession in decades.The below chart shows the Foreclosure rates. California, Florida, Arizona, Nevada, Illinois and Michigan accounted for 62% of the nation’s total foreclosure activity in the third quarter, with 579,541 properties receiving foreclosure filings in the six states combined. Rising unemployment is the major cause of mortgage delinquencies and foreclosures. US unemployment is hovering around 10% currently at 9.8%, which results to 15 million people unemployed. Consumers are still facing several challenges, including large job losses, weak income growth and too much debt. All these are increasing the pressure on foreclosure. Effects of Foreclosure on US Economy. 1. In the housing market, foreclosures affect sellers by increasing the stock of available houses that are competing for buyers. Foreclosed houses can negatively affect the perceived value of other homes. 2. The rise in foreclosures also lowers new home construction, meaning reduced spending and jobs in the construction industry. 4. Foreclosures affect government finances. This is especially true of local governments, which rely heavily on property tax revenue. 5. Increased foreclosures can affect existing homeowners, especially if banks become less willing to refinance existing mortgages. 6. All these adds up to increased fiscal deficit and currency devaluation. The bottom line of this situation is that eventually all Americans will feel the pinch in one-way or another. There are about $2.5 trillion worth of these loans in the mortgage pool. The U.S. government ran a deficit of $1.4 trillion in fiscal 2009, the Treasury and the White House said on Friday. So as number foreclosure increases we will get more fiscal deficit, free fall of dollar against other currencies and very slow recovery of US economy. US economy will take more time to come out of the recession. Consumers are unable to pay the debts as they have no source of income. The booming housing market halted abruptly for many parts of the U.S. in late summer of 2005, and as of summer 2006, several markets faced the issues of ballooning inventories, falling prices, and sharply reduced sales volumes. In March 2007, the United States' sub prime mortgage industry collapsed due to higher-than-expected home foreclosure rates, with more than 25 subprime lenders declaring bankruptcy, announcing significant losses, or putting themselves up for sale. But the huge effect came in the year of September 2008.Since US was busy making the world economy in camouflage. One more thing I would like to draw the attention of my readers is that US have reported that industrial production rose 0.7% in September after an upwardly revised gain of 1.2% in August. For the third quarter as a whole, output advanced at an annual rate of 5.2%, the first quarterly gain since the first quarter of 2008 and the largest gain since the first quarter of 2005.Now if industrial output increases then how The jobless rate rose to a fresh 26-year high of 9.8% from August's figure of 9.7%.In simple terms when Industrial production picks up employment will also get generated, as a result the unemployment will reduce and more job opportunities will be created. Now I will leave rest of the analysis to my readers. So again US is trying its old game of camouflage the World Economy by saying that recession has come to an end and we are in recovery path. It will be a hard and a long recovery that will last for many years. It’s a bubble being created and any time soon its will burst out.This illusion created by US will have a tremendous adverse effect on the Indian market along with other emerging markets coming out of the dark woods.Once the bubble goes burst off the Indian market and other Asian market will take a hit from this and will result to huge loss and putting brakes on the recovery and growth path.